I have been talking about Ikebana as spiritual training. However, a very influential Ikebana researcher, Mirei Shigemori stated that Ikebana has nothing to do with either religion or moral teaching and denied Ikebana as a spiritual training. Instead, in 1930, he declared that Ikebana is nothing but art. Shigemori’s declaration has changed the teaching of Ikebana significantly in many schools, in particular, Sogetsu, Ohara and other schools that gained great popularity after the war. Shigemori encouraged Ikebana artists to use, cut and bend plant materials as they wish, and denied the notions of respecting their natural way of being or having sympathetic attitudes to them. In other words, he regarded the plant materials as mere materials for self expression. Natural materials are just objects to use. This view is noteworthy, because it is so opposed to the Japanese traditional view of nature. 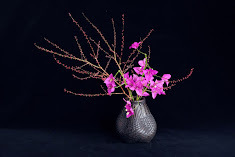 Actually Ikebana has many spiritual aspects to investigate, styles, views of the universe, views of natural materials, and the philosophy of learning called Shugyo. Dr Osamu Inoue discussed many of those aspects in his remarkable book, The Thoughts of Ikebana (2016). However, he did not mention much about Japanese perception of natural materials. He did mention that Yorishiro, a sacred object in Shinto belief, often made of natural materials, might be an origin of Ikebana. Nevertheless, he like many other Ikebana researchers, did not discuss further the connection between Ikebana and Shinto. Considering that flowers were sacred objects for the Japanese in the Shinto tradition, Shigemori’s attitudes to natural materials, influenced by Western culture, is extremely contradictive. We also need to assume that there is a huge gap between the traditional Ikebana schools and the new Ikebana schools such as the Sogetsu school. In order to recognise such a difference precisely, we need to reconsider the traditional Japanese view of flower again in the next issues. 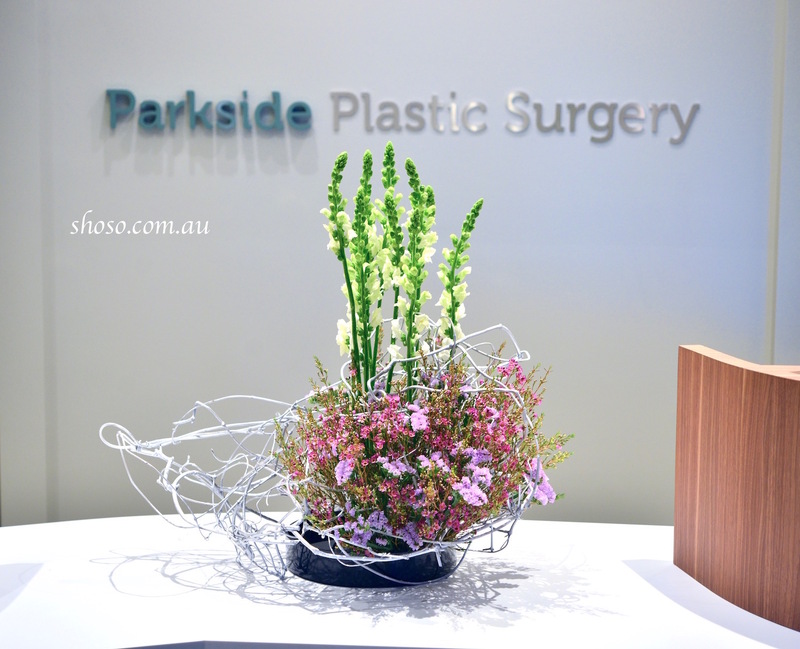 The Ikebana work in this photo is a commercial work for a reception. I enjoy experimenting with various designs. In August, the Ikebana Gallery Awards were announced and the students’ works were viewed by more than 16 thousands people around the world. We are pleased to be able to provide such a rare opportunity to many students for free. On 7 & 8 October, Wa: Ikebana Exhibition will be held at Abbotsford convent. Please don’t miss it.